Stranded in the Snow in Dunedin! We had decided to make the Peer Group meeting at the Otago Peninsula into a family weekend in Dunedin. As we indulged in some retail therapy at the Meridian Shopping Mall on Sunday morning, the snow suddenly start to fall and the northern motorway out of Dunedin was closed. 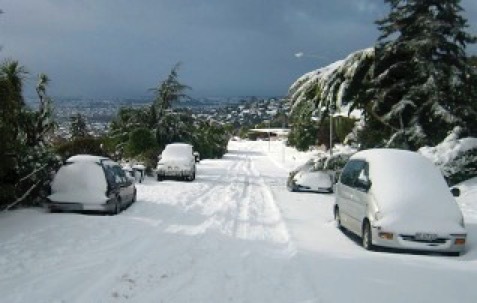 In an amazingly short space of time, the snow brought Dunedin to a standstill and the roads impassable. With this came the realization that we would be unable to get home and we were forced to spend another two nights in Dunedin. 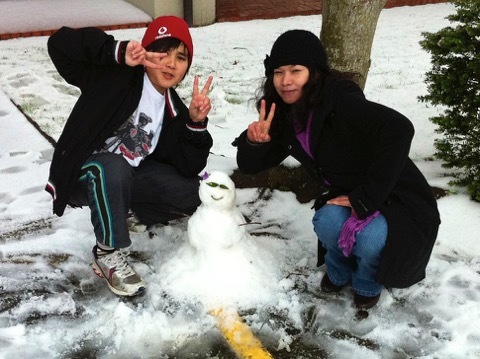 But every cloud has a silver lining and Ooy, Mark and Rebecca had a wonderful time playing in the snow!